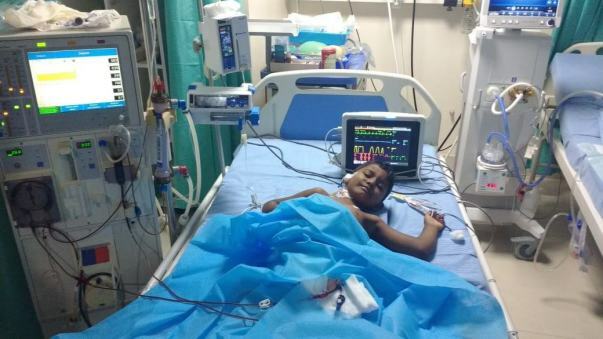 6-year-old Akhil is suffering from a deadly disease(Hemolytic Uremic Syndrome) that has caused his kidneys to stop functioning, is now in extreme critical condition in the ICU. He has chances of recovering completely but he has no option but to remain in the ICU for the next few weeks and get additional life-saving treatment too. His father, who has already sold everything he had, has nothing left to save him now. Akhil was normal until March, 2018, Since then it started eyes turning yellow and he couldn't resist pain in his abdomen, even his urine contained blood too. His parents thought that its normal jaundice and got him some general medication. Having seen that Akhil couldn't resist the severe pain in abdomen, Subbarao, Akhil's Father took him to a hospital to get checkup. Then they came to know that these were the symptoms of a deadly disease Hemolytic-uremic syndrome (HUS). In short Hemolytic-uremic syndrome (HUS) is a disease characterized by a triad of hemolytic anemia (anemia caused by destruction of red blood cells), acute kidney failure (uremia), and a low platelet count (thrombocytopenia). So far, Subbarao and Lalitha(Akhil's Mother) has spent Rs. 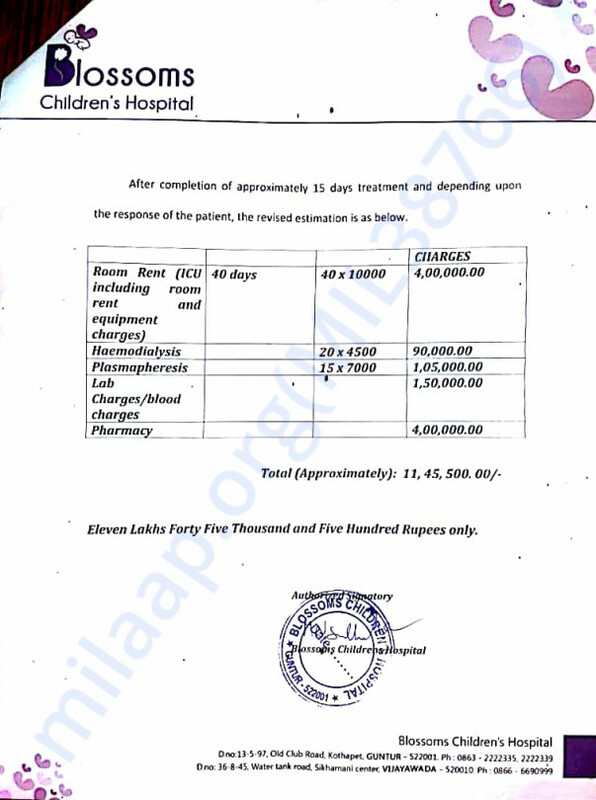 3 lacs to get treatment done for Akhil. 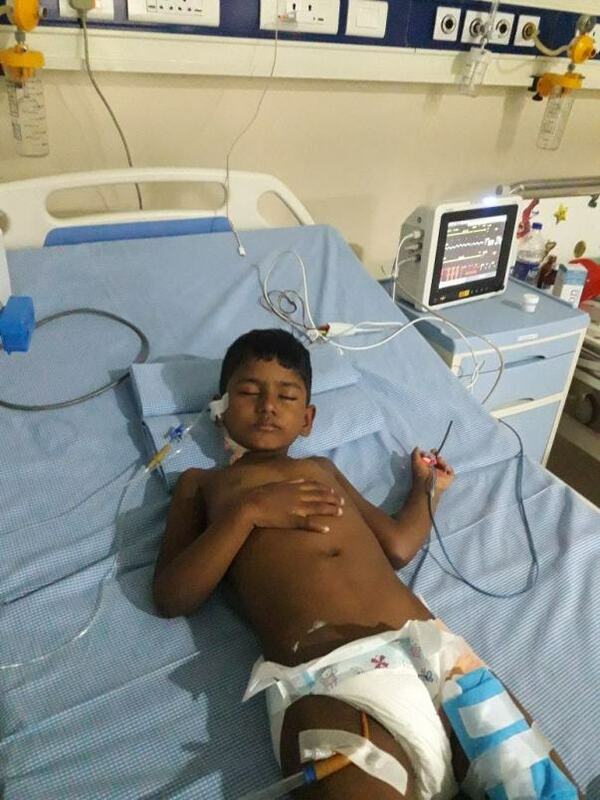 For help, he has asked everyone he could and now, he has absolutely nothing left to provide for the additional life-saving treatments Akhil needs in the ICU. The total cost of the treatment is estimated to be around Rs. 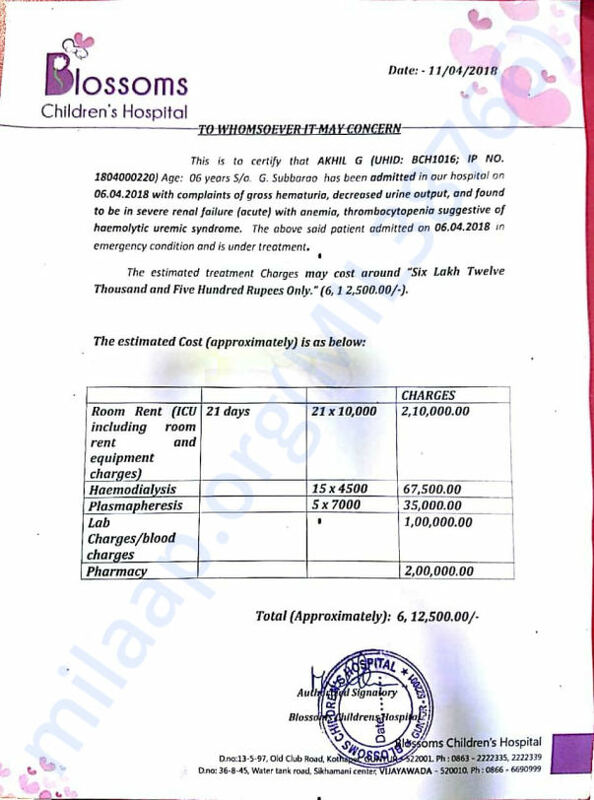 6.125 lakhs and Subbarao is running out of time to save his son. He is left with no option but crowdfunding. Akhil's condition still remains the same and the doctors increased the number of Haemodialysis and Plasmapheresis to be given. Hence the estimation cost of treatment increased to 11-12 lacs. 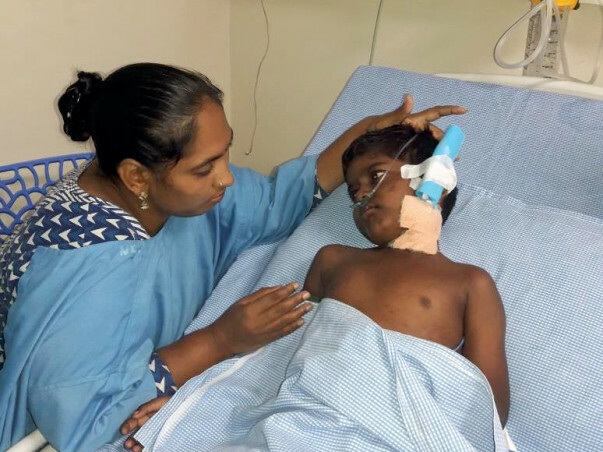 6-year-old Akhil is suffering from a rare and deadly disease which has caused his kidneys to fail. He is now in extremely critical condition in the ICU, and needs to be there to get the life-saving treatments. 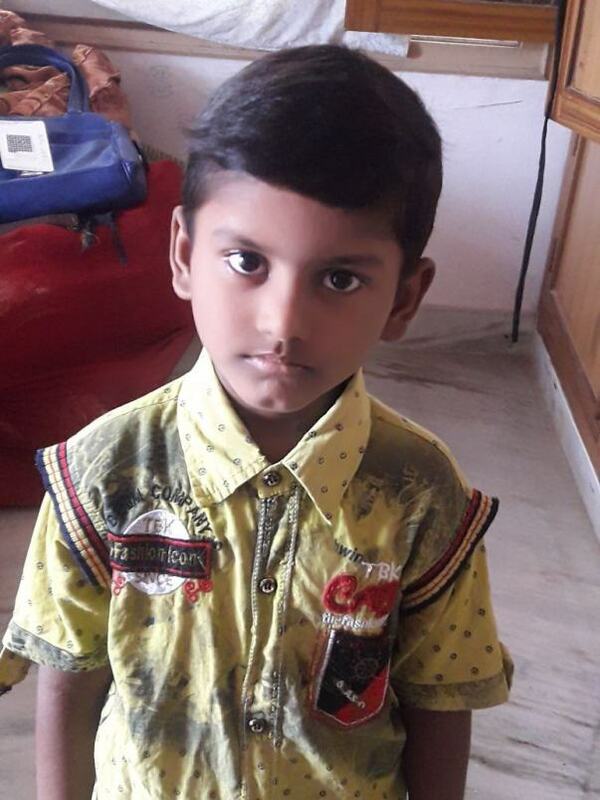 His father, Subbarao, has exhausted all his resources and now, he needs your help to save his son’s life. We received a note from Amarnath, the campaign organizer that Akhil is no more and passed away on June 3rd 2018. Our thoughts and prayers are with the family and the parents. 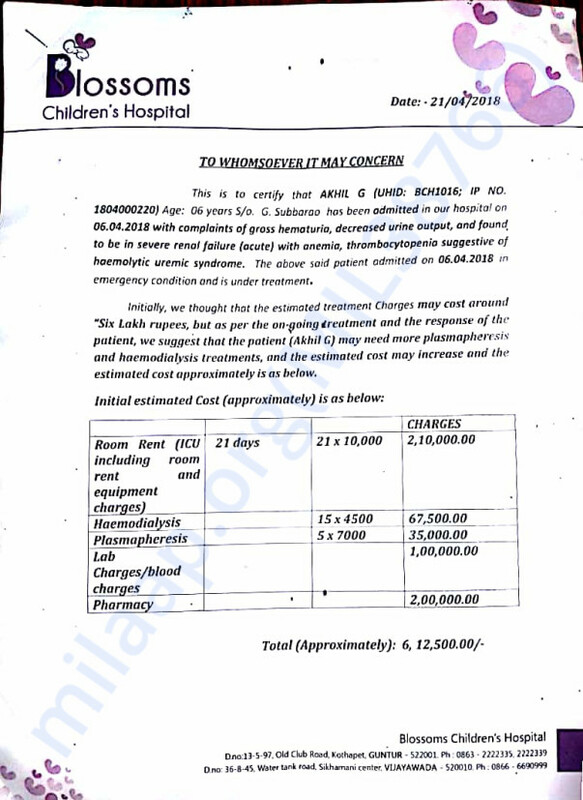 Funds raised have been used towards the treatment so far - we are waiting for the family/campaign organizer if there are any pending dues against which balance can be transferred. Appreciate your support. We are pausing the campaign from accepting any further funds. Akhil's condition has been deteriorating. According to the reports, water is getting accumulated around and in his brain. It has been 56 days now and dialysis has been given to him 34 times which is unimaginable. We sincerely thank each one of you for the love and support which you have shown towards him up till now. We would request you all to donate and pray for Akhil's health and speedy recovery. We shall keep you all posted. Akhil's condition still remains the same and the doctors increased the number of Haemodialysis and Plasmapheresis needs to be given. Hence the estimation cost of treatment increased to 11-12 lacs. 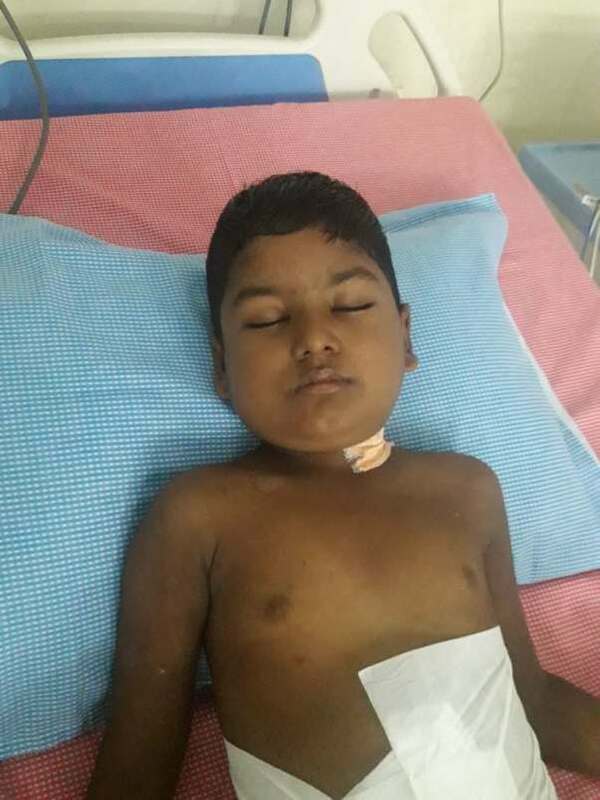 We would request you all to donate and pray for Akhil's health and speedy recovery.